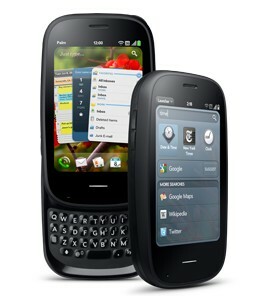 HP and Palm today announced webOS 2.0 and the new Palm Pre 2 smartphone. 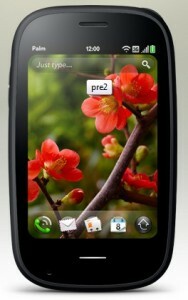 The webOS 2.0 is the first major update to the Palm propitiatory mobile OS after its acquisition by HP in this year. The webOS 2.0 upgrade will be available for Palm Pre, Palm Pixi phones, as an update in the coming months. 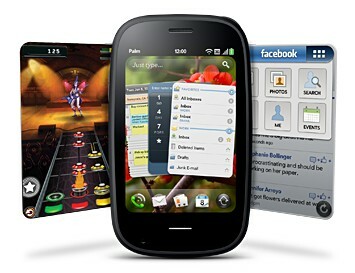 The Palm Pre 2 will be the first phone in the market with webOS 2.0 pre-installed in the device. The Pre 2 has revised specifications and almost the same design of the Palm Pre Plus. The Palm Pre range is mainly designed for the CDMA networks like Sprint, but the GSM version is also available in Europe and with AT&T network in USA. The Sprint customers in US will not get the Pre 2 as the exclusivity of the device is now assigned for Verizon Wireless. HP and Palm have redesigned the webOS to to include several new features- some of them are as follows. New universal search: The web OS 2.0 comes with a new universal search application. The application window lets you search through Google, YouTube, Wikipedia, and several places within the device. Furthermore, you can use the search term for quick actions; ranging from Facebook updates to email and SMS. Resigned launcher: The new webOS 2.0 launcher is easy to use and customize. You can create and edit pages and move applications through them easily. Improved Palm Synergy: It Arranges social networking accounts, email all in one place. VPN support for secure corporate communication and messaging. Flash support: Palm webOS 2.0 supports flash playback within the web pages. Palm Text Assist: The Text Assist is a new auto correct application for the webOS 2.0 that let you fix text errors automatically. You can create custom dictionary entries and shortcuts for words that can be used for quick email entries and messages. The Palm Pre 2 is an excellent combination of a touch screen and a QWERTY keypad. The device has a special design that makes it is easy to carry in hand and operate. As we mentioned before, the Pre 2 has not much difference in its extremal design when compared with its predecessors. The plastic made screen has been replaced with a new glass screen. The same old 3.1 inch touch screen (24-bit color, 320×480 resolution) is capacitive and support multi-touch gestures. The webOS 2.0 is fast and responsive than its earlier versions. With the new 1GHZ processor and 512MB RAM, Pre 2 is much faster even while plying Flash videos and multitasking with several windows. The 3Mp camera has seen as an upgrade to five, still without autofocus. Palm pre 2 comes with 16GB storage of which 15GB (mass storage supported) is available for the users. Other features of Palm Pre 2 include A-GPS, accelerometer, MicroUSB port(new), Bluetooth with EDR, Inbuilt IM and social networking apps, Microsoft Exchange, Wi-Fi, 3.5 mm headphone jack and a standard Li-Ion battery. The GSM model of the Palm Pre 2 will be launched in France this Friday through SFR mobile network. HP has selected Verizon Wireless as the exclusive carrier for USA launch of the Palm Pre 2 CDMA model, scheduled for the coming month. HP hasn’t announced the price of Palm Pre 2, but we believe that it would get the traditional smartphone pricing plan at $199 with two year contract. Update: Palm Pre 2 price in USA is $450 for for fully unlocked model.